People have been trying to keep cool during hot weather for centuries. Rudimentary air-conditioning systems have existed since ancient times, but they wouldn’t become efficient and widely available until the 20th century. 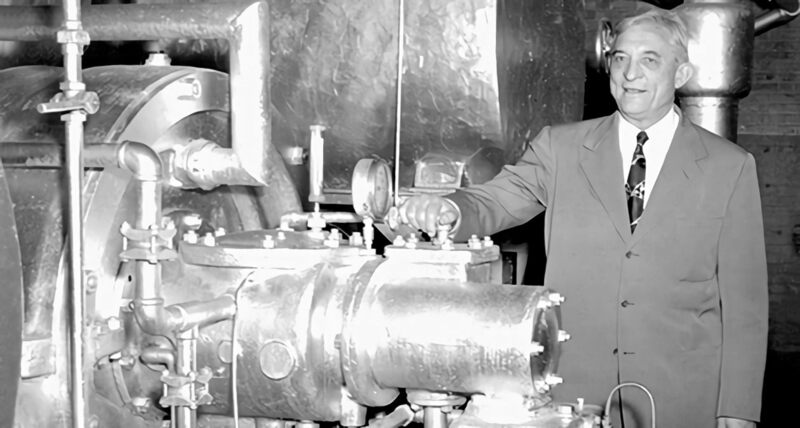 The invention air-conditioning systems has been hailed as one of the last century’s greatest engineering achievements. The systems have changed the way you live in your home, products that are available for purchase, your work environment and even the way you shop and travel. The first accounts of indoor temperature control can be traced back to ancient Rome, when the city’s wealthy citizens used the aqueduct system to circulate cool water through the walls of their homes. Emperor Elagabalus is said to have erected a mountain of snow (imported from the mountains by donkeys) next to his mansion to keep cool in the summer. Other even ate snow to stay cool. Ancient Europe wasn’t the only place where people tried to keep cool when the temperatures were rising. While hand fans were used in China as early as 1000 BC, a Chinese inventor from the second century actually built the first room-sized, hand-powered rotary fan. In the Middle East, buildings featured windows facing away from the sun and wind towers catching an circulating breezes. However, these decadent and inefficient attempts at temperature control vanished by the Middle Ages. Air-Conditioning efforts only resurfaced in the late 19th century, when American engineers funded by wealthy financiers started to address this issue again. Although there are many names associated with the inventions and advancements of this technology, a major contributor was inventor Willis Haviland Carrier. In 1902, he was waiting for a train when he had an epiphany of how to use dew point, air temperature and humidity in a way that resulted in an early air conditioner. He initially developed a mechanical unit to control humidity at the printing plant where he was working. As a result, printing presses all over the country were able to control the temperature and humidity with their air-conditioning systems in order to prevent misalignments of paper and reduce color variations of the ink. Stuart W. Cramer found at his textile mill that added moisture made fabrics easier to work with and that static electricity was reduced. Cramer actually coined the term “air-conditioning.” In 1922, Carrier added a centrifugal chiller to the unit, which was first presented at the Rivoli Theater in Times Square. H.H. Schultz and J.Q. Sherman invented the individual room air-conditioning unit in 1931 that is set up on a window ledge. However, only the wealthiest could afford them back then, as the units ran between $10,000 and $50,000 – or between $120,000 and $600,000 by today’s standards. Two years later, David St. Pierre DuBose created what is regarded as the first central air-conditioning system. He had designed a network of ducts and vents covered by intricate Georgian-style open moldings in his own home in Chapel Hill, North Carolina. Yet, it was not until after World War II that home air-conditioning systems became available to the general public, as low-cost window units were mass-produced. By 1953, more than 1 million of these units were sold across the United States. They made summers in humid and/or hot areas like the South and Southwest more tolerable and are responsible for large numbers of people moving to those areas. Air-conditioning has fundamentally changed American society. Air-conditioning has evolved from a decadent luxury for the rich to an essential part of ordinary people’s life. Not only have these units made industrial processes more efficient and advanced, workers who are employed in temperature-controlled buildings are also more productive and have a much lower absentee rate. It’s thus no wonder that the US economy depends on Refrigeration and HVAC technicians to keep their air conditioning units running.